Moe wanted something sweet for breakfast. 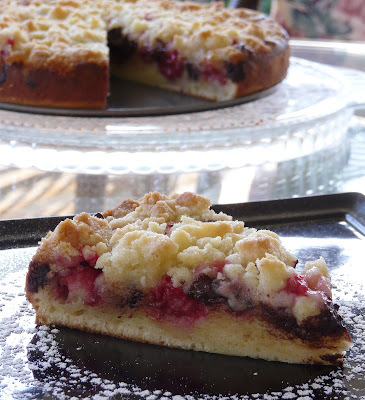 Rather than make Raspberry scones I decided to bake this cake from Williams Sonoma. I had made this cake once before and thought it needed something so I added a chocolate chips this time. Although there is nothing wrong with this cake, it is lacking something. 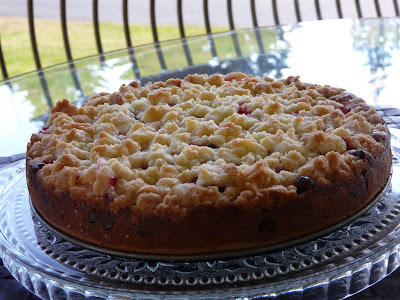 I have other Coffee Cakes that I like better so I probably won't make this one again. 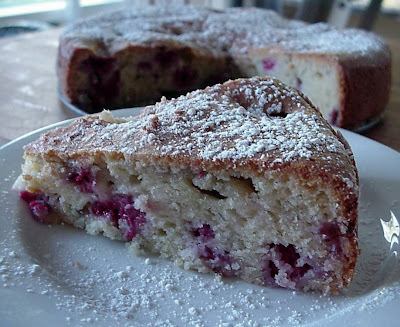 I prefer this Raspberry Cake that I have been making since 1985. The recipe is out of a Canadian Living Magazine. Both look good to me, but if you recommend one over the other, that's endorsement enough for me, because I like your recipes. But the other one from Canada looks great..I am definitely going to try that one!